Every department in Displaymode has its own quality control manager to maintain and improve work practises and product quality. Lifecycle testing and monitoring is continuous. Standards for production and material quality are written down for every job. Quality assurance managers oversee individual departments, but our overriding philosophy at Displaymode is that every employee is responsible for quality, whether that’s in accounts or in the print finishing department. To ensure this, production employees must understand the function of every product we make and understand how each process connects to the next one. 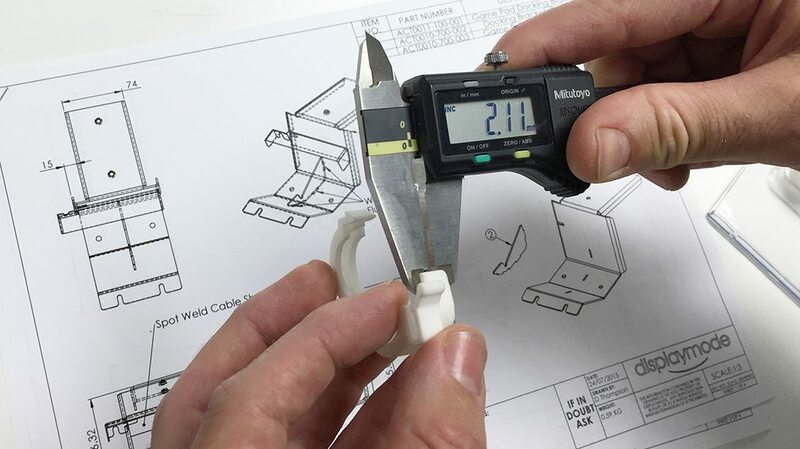 Inspection during production happens at every process stage, we consider every aspect from packaging, edge quality of materials, health & safety, installation and use in store. Point of purchase displays can typically be designed, developed, prototyped and manufactured in under six weeks, so quality systems are rigorous and detailed. Packaging is also designed and tested in house, which guarantees our products arrive at their destination as intended.